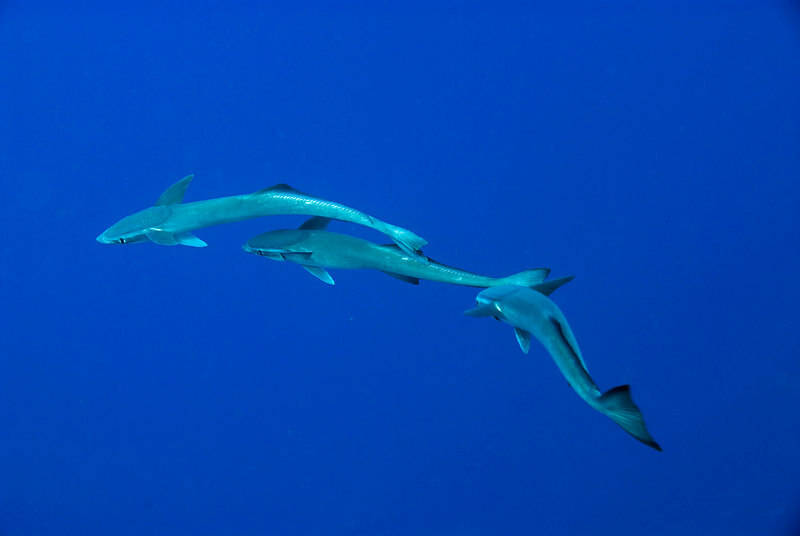 Remoras, Echeneis naucrates, also known as a shark sucker. They hitch a ride on sharks, feeding on the scraps as the sharks eat. Beqa passage.